EV range, and more specifically battery size, has developed into an arms race for car makers, with new electric cars coming in thick and fast with updated powertrains. Fast-charging is very much on the horizon – just look at the Porsche Taycan, for example – but right now, the longer your range, the better. But the real solution to range anxiety could have nothing to do with range at all; it could be solved by wireless charging. Yes, it's a sideways step in terms of thinking, but a step forward in terms of ease of use. While we waitsfor incremental cell improvements and the possibility of solid state tech, Qualcomm believes wireless charging – similar to that in modern smartphones – is the magic bullet for range worries. It's not fast by any means, but that's not the point. 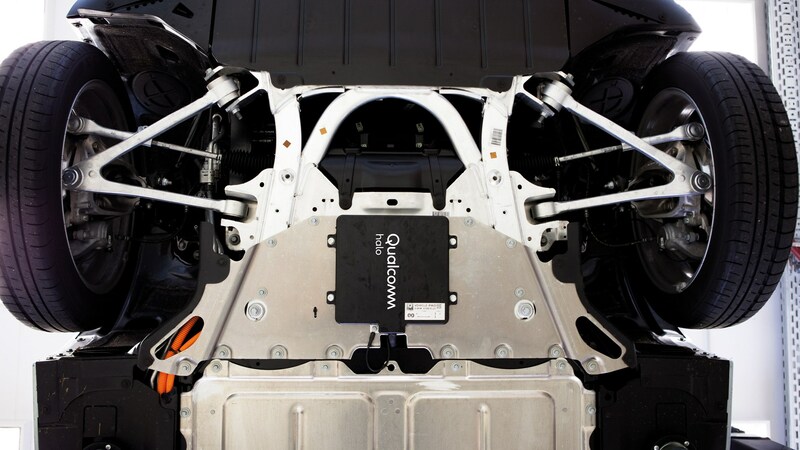 Rather than topping up quickly and less frequently, Qualcomm has bed EV charging behaviour will become a constant splash-and-dash process, with wireless charging being the ideal way to do it. From garage floors that’ll charge your EV without you lifting a finger, to motorways that can power your car and propel it at the same time, wireless charging opens up a whole new approach to power management. And it might actually work. What is wireless car charging and how does it work? If you’ve bought a high-end smartphone in the past few months, you’ll probably be familiar with wireless charging. Just like it sounds, it’s a simple way of putting charge into your phone without the need for cables – and Qualcomm’s Halo technology is essentially a scaled-up version. It relies on resonant magnetic induction to transfer energy between a pad on the ground, and another under the floor of a compatible EV. 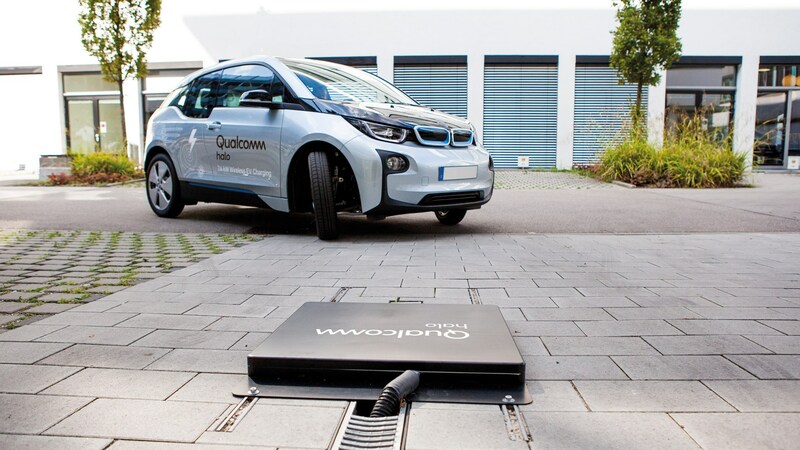 The charging pad is around a metre square, while the car’s receiving pad is enclosed in a smaller, dinner dish-sized device under the car. Once the two are aligned, charging can take place at 3.3kW, 6.6kW or 20kW speeds. 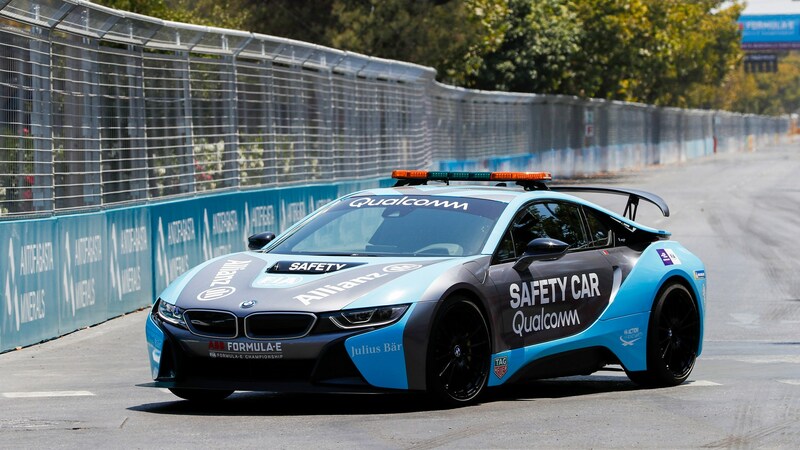 Two versions of Qualcomm’s Halo tech are currently fitted to the Formula E Safety Car and Medical car: a constantly developed one on the former, and an early beta version on the latter, just to test the effect of wear and tear. At the ePrix in Paris, CAR magazine was shown just how Qualcomm’s wireless charging system works, and it’s actually pretty simple for the user; a smartphone app complete with intuitive graphics made it easy to align both pads. It’s worth mentioning here that while we may see the technology in other cars, it’ll probably be contained in OEM apps or infotainment systems wearing the brand of the manufacturer. This Qualcomm demonstration is what’s currently being shown to car makers, and it’d then be customised and reskinned later down the development process. After alignment was complete, charging began once the ignition was off. While 20kW isn’t as fast as the ridiculous rapid-charge speeds Porsche, Audi, Tesla and others are quoting, it’s important to remember the use case here is completely different. Qualcomm’s Halo tech also comes with some built in safety features, so if any foreign objects are located between the charging pads, the system will shut off automatically. At that point, the EV owner would be contacted, and asked to secure the connection. When is wireless car charging coming? 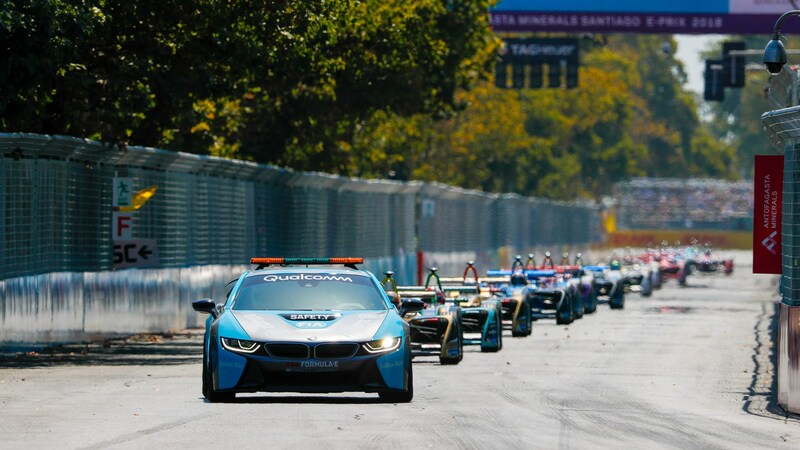 Qualcomm is using Formula E to develop and advertise its wireless charging tech, but it’ll be a couple of years before you see Halo on your EV’s spec sheet. Qualcomm licenses the technology instead of manufacturing it, but recent tier two wins mean it should be entering the market via OEMs in around 18 to 24 months from now. BMW will begin building its world-first production-ready inductive charging systems in July 2018 – and it’s set to work with many of the firm’s plug-in hybrid models (PHEVs). 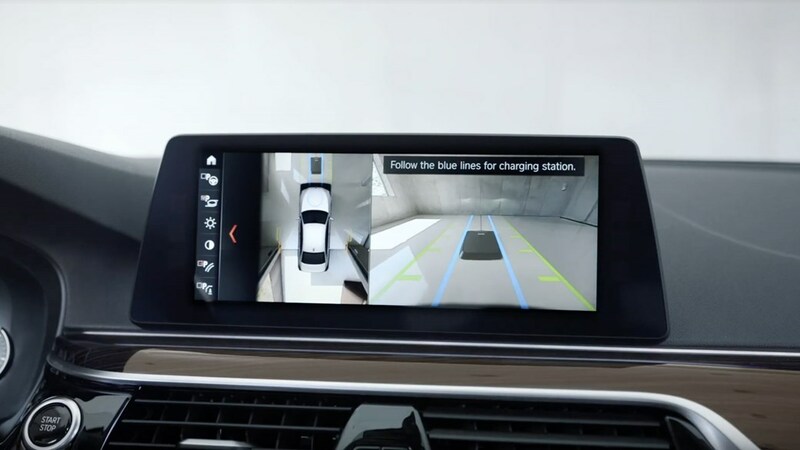 It'll consist of two parts - a Groundpad and a Carpad in BMW parlance - with the former sitting on the ground below your plug-in hybrid and the latter connecting to the car's electrical backbone. BMW claims a 3.5-hour charge is possible with a charge rate of ‘up to 3.2kW’, and at around 85% efficiency between the pad and the car. There’s no indication yet when the tech hits UK BMW showrooms at this point, or indeed how much it’ll cost until market-specific details arrive; we’re told before the end of summer 2018. But BMW sources told CAR magazine that the tech is indeed headed for right-hand drive markets, and will be available exclusively on a leasing deal with a 5-series 530e iPerformance. The reason behind the leasing stipulation is a simple matter of economics – the overwhelming majority of plug-in 5-ers in Western Europe are ‘owned’ this way, so it stands to reason that the best way of introducing this relatively expensive range anxiety-busting tech is to use the same financing model for this. While static wireless charging is the main aim, Qualcomm is already looking to develop the technology further for moving vehicles too – and that’s where things get even more interesting. Dynamic charging, or charging while in motion, is the next step, and could change how we see EV batteries forever. If a wireless charging infrastructure is able to provide a constant stream of power to an EV, a large battery wouldn’t be needed for most journeys – just a small one for patchier infrastructure. 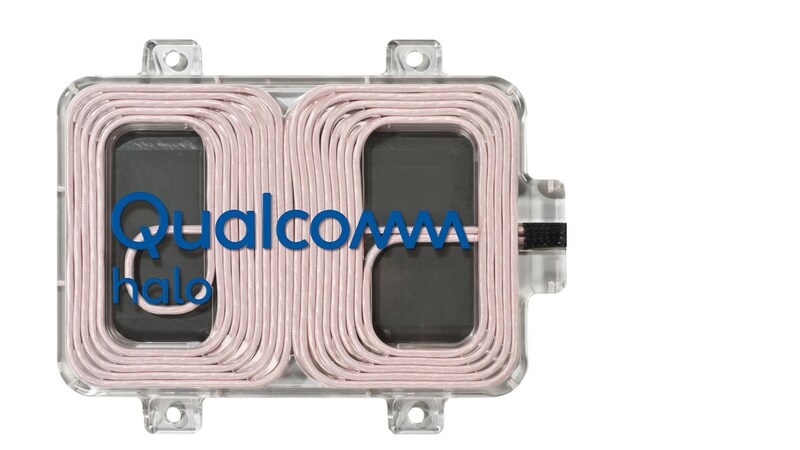 Qualcomm believes quick charging could still be used, though, and the future will probably see a combination of both rapid wired and wireless charging for EV owners. Dynamic wireless charging tech would probably be easier to implement in urban areas first, so EVs would only need batteries for intercity journeys – where larger quick charging stations are already planned. 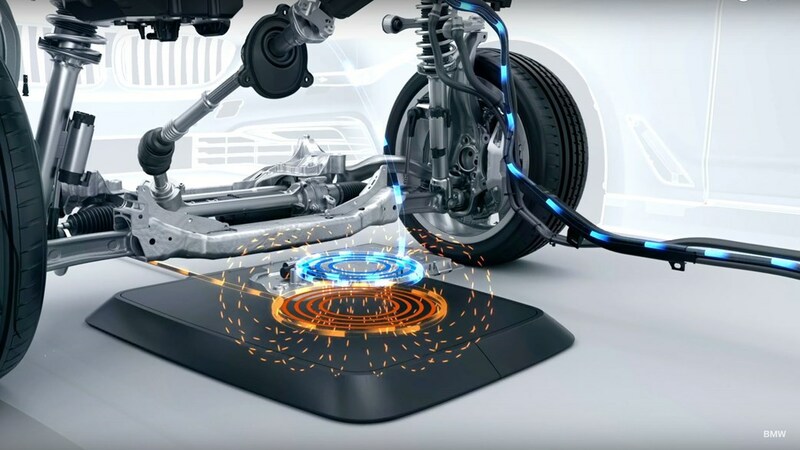 We’ll update this article when there are more developments on wireless charging tech in the automotive field.